Glad to be back home from my short trip to Roanoke. 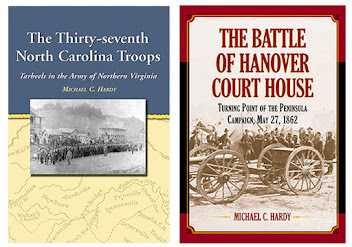 I spoke and signed books Monday evening for the Fincastle Rifles Camp #1326 of the SCV. They are a great bunch of folks. I actually took my son, Nathaniel, along on the trip. This was his first time out with his “old man.” We spent the night, and then on Tuesday morning (Nathaniel’s birthday), met Camp Commander Robert Barbour for breakfast. He took us to visit the small park established to commemorate the 1864 battle of Hanging Rock. 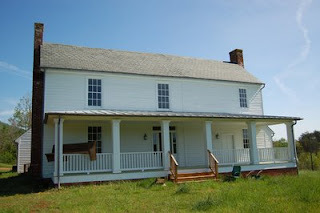 We next took off to Franklin County were we visited the Jubal Early house. The Confederate general was born and lived in the house until he left to go to West Point. He later hid out in the house at the close of the war, and lived in the house for many years afterwards. The local SCV camp, along with some help from the UDC chapter, saved the house from a bull dozer. The house is being restored and will be open to the public sometim e in the near future. Nathaniel and I next took off and went to the Virginia Transportation Museum, and spent a couple of hours amongst the trains and trucks and other displays. We then headed back for a special birthday dinner and time spent with the folks. A good trip was had by all. Greetings folks! 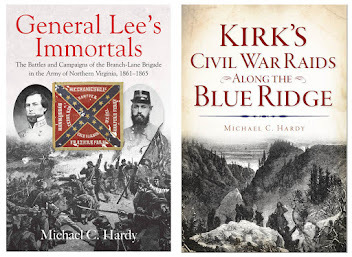 Kim Wetmore will be presenting a program at the Hickory Public Library entitled “Hickory’s Cold Mountain” on Tuesday evening. Learn more here. If you get a chance, stop by and visit with her. The views and actions by participants in that incident in no way reflect the views or policies of the City of Auburn. The flags were placed by the United Daughters of the Confederacy on private graves to commemorate fallen Confederate soldiers for Confederate Memorial Day, which is an official state holiday. Their removal was not an action taken by the City of Auburn. I cannot condone the removal of private property from a privately owned grave site. The sanctity of the final resting place of one’s family or forefathers is certainly one of the most intensely private and sacred of things in our society. It is easy to see that the mayor is trying to put as much distance between himself and Dowdell. Interesting enough, Dowdell has served on the Auburn City Council since 1995. 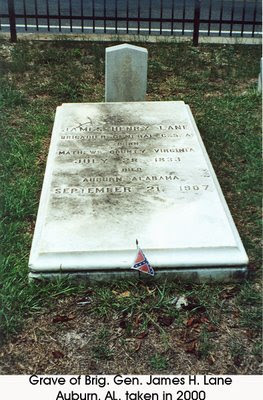 The placement of flags on the graves of Confederates has gone on for decades. I wonder (actually, I don’t) why Dowdell did not have a problem with the flags in the previous thirteen years he was on the city council. Why does he feel emboldened this year? 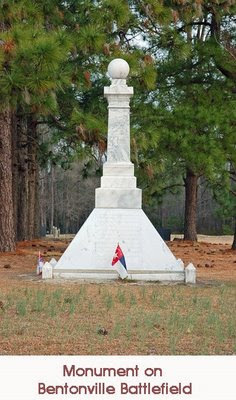 Regardless of Dowdell’s actions, the planned Confederate Memorial Day services in Auburn went on as scheduled yesterday. You can check out an article and a video clip here. Had I not been off to Roanoke for a book signing in Roanoke this afternoon, then I probably would have driven to Auburn yesterday to attend the memorial day service. Why? And what does this have to do with North Carolina and the Civil War? Not only are there numerous Alabama Confederate soldiers buried in the Pine Hill Cemetery, including Col. James F. Dowdell (hmmm, I wonder…) commander of the 37th Alabama Infantry, US Congressman, and one –time president of what is today Auburn University (had two ancestors to fight under him), but also one that we here in North Carolina hold dear: Brig. Gen. James H. Lane. Lane was a Virginian by birth and educated at VMI. Right before the war began, Lane was teaching at the North Carolina Military Institute in Charlotte. Lane was major and lieutenant colonel of the 1st North Carolina Volunteers, and then colonel of the 28th North Carolina Troops. He succeeded Branch as commander of the Second North Carolina Brigade after Branch was killed at the battle of Sharpsburg. The Second North Carolina Brigade was composed of the 7th NCST, 18th NCST, 28th NCT, 33rd NCT, and 37th NCT. 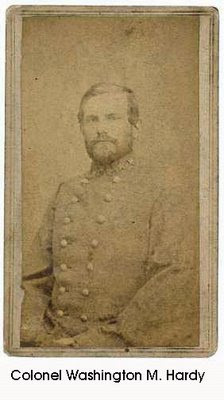 Lane successfully commanded the brigade until the end of the war, and even taught for while in the Old North State before moving to Auburn where he also taught. The school still owns his house. I do find the actions of Councilman Dowdell disturbing. One reason why Southerners were allowed to erect monuments and place flags on graves after the war was to help heal our divided land. The monuments and markers and flags (North and South) were an effort to help remind us of where our inability to work out our problems could lead us: 625,000 dead. And it was people with an attitude just like Dowdell that fanned the flames that led to 625,000 dead Americans. Obviously, here is an individual who wants to make trouble (and unfortunately, there are far too many people willing to rise to his baiting). We can only hope that more reasonable heads will prevail and that Dowdell will be properly shamed for his grave descrecration rather than becoming the target of threats or other responses that only give him what he wants: angry people who fit the stereotype he wants to enforce. Several interesting pieces in the news this week. There is an article in the Durham Herald – Sun this week about upcoming events at the Bennett Place – you can check it out here. Last weekend, a monument was placed in Fredericksburg, Virginia, honoring Confederates, including some North Carolinians, buried in now developed parts of the city. You can read about in here in the Free Lance Star. There is also an article about the marking of graves of soldiers killed in the battle of Whitehall in Wayne County, North Carolina. The article appeared in the Goldsboro News – Argus and you can read about it here. On News14 from the eastern part of the state, they have a video clip advertising the upcoming events at the battle of Plymouth reenactment. Check it out by clicking here. I think I have said (written) this before: writing history often presents more questions than it does answers. Here is my question of the week: what happened to Col. Washington M. Hardy? Not so much after the war. I wrote about that in a previous post here. What happened to him the last days of the war? 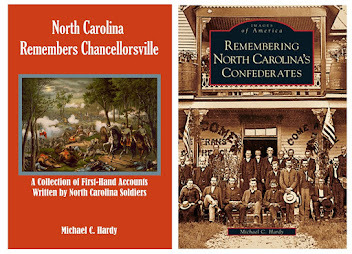 I wrote last Friday in my manuscript about the 58th and 60th North Carolina regiments. The new organization was known as the 58th North Carolina Consolidated, or the 58th North Carolina battalion. The field and staff of the new regiment was made up of just-promoted Maj. G. W. F. Harper, formerly Captain of Company H, 58th NCT and who had commanded the 58th NCT through the battle of Bentonville, and just-promoted Lt. Col. Thaddeus C. Coleman, who had been serving on the staff of General Hood at the rank of Captain. Actually there are a couple of things I don’t understand. Why promote Coleman, a staff officer (he had started the war in an artillery company), over Harper, who had combat experience, and who had been associated with one of the two regiments since its inception? And why would Johnston, who was aware of Hood’s scathing report about his tenure as commander of the Army of Tennessee, appoint one of Hood’s staff officers? But, back to my original question: what happened to Hardy? Hardy had served as Colonel of the 60th NCT since May 1863. He had commanded Reynolds’s brigade for a time, and commanded his own brigade at Bentonville. According to what I wrote previously, he was present on March 31, 1865, but nine days later, was gone. I can find no parole papers. I can find no presidential pardon. So three possibilities. One: Hardy had been ill at other times during the war. Maybe he took this opportunity to go home on furlough and the documentation to prove this is missing. Two: maybe he could not command the new consolidated regiment as colonel because Col. John B. Palmer, 58th NCT, outranked him. Palmer was promoted to colonel in July 1862. However, Palmer had been assigned to the department of western North Carolina since November 1863. He never rejoined the regiment, but was still listed as colonel. Third: Maybe because Hardy’s performance at Bentonville was so poor, he was declared supernumerary and went somewhere else. I finally finished writing about the battle of Bentonville yesterday afternoon. 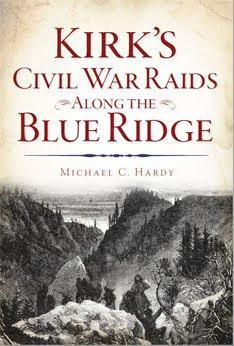 I think the chapters on the 58th NCT’s involvement at Bentonville, Missionary Ridge, and Chickamauga are the best. Why? Probably do to the amount of secondary sources. Here is my process: I take secondary sources and read through them, take notes, and then compare them to primary sources, like personal letters, diaries, and official reports. Then I write. Often, I agree with the secondary sources. Sometimes, I do not. If I don’t agree, then I will take a end note and tell you why I disagree. Last evening, I started reading This Astounding Close by Mark Bradley – you know what theat means, the war is almost over. Well, time for a look around. 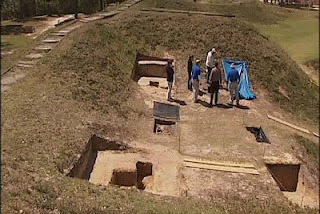 A few days ago, the Winston-Salem Journal ran a short piece on the excavations at Fort Anderson. You can read it here. The short piece is about half way down. My thoughts? If this is the quality of reporting at the Journal, well… no wonder so many newspapers are in trouble. Why might I write this? Well, Fort Anderson is not in Western North Carolina – it is about as far from Western North Carolina as you can get. And I don’t think I saw anything about a cannon being found. Remnants of a platform yes, cannon, no. And, cannons are offensive weapons, not for “personal defense.” Well, it appears my comments are longer than the article. There is an very interesting article in the Richmond Daily Press about anew marker being installed for Jewish Confederates in the Hebrew Cemetery in Richmond. You can read that article here. I did some further digging and found a list of men in this cemetery. You can view the list here. There are two North Carolinians listed. The first is G. Wolfe and the second is M. Aaron. The Fayetteville Observer has a article about North Carolina Sharpshooter commander Capt. Benjamin Robinson (Co. A, 5th NCST). You can read the article here. There is a very article in the New Bern Sun Journal, entitled “Pro-Union connection hard to find.” The gist of the article is that evidence of the strong pro-Union element in New Bern that we have been told was there, may not be true. I wonder if eastern North Carolina has been operating under the same mis-information that western North Carolina has been. You can read the article here. There is also a blurb (and video) about the end of the war in Raleigh in the Raleigh Public Record. You can find this interesting link here. Greetings folks! 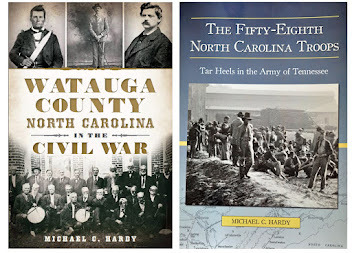 Just wanted to let everyone know that I will be speaking tonight (actually the meeting starts a little after five pm) in Boone at the quarterly meeting of the Watauga County Historical Society. The meeting will be at the Watauga County Public Library. Topic will be gravestone art, something I’ve been interested in for 20 plus years. I hope to see you there. By the way, this is post number 300! I had the misfortune to watch Gettysburg: The Battle That Changed America on the Military Channel last night. There were a few appropriate-looking actors and a few good special effects (like the guy losing a foot to the cannon ball), but the majority of the program was basically the contents of the old outhouse! I’ll just hit a few highlights: their Meade looked ok, but their Lee looked horrible. 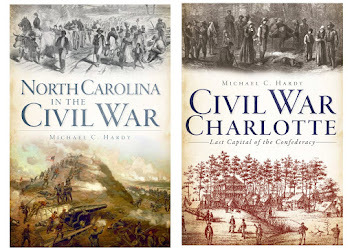 They totally left out Federal cavalry commander General Buford's and Confederate General A. P. Hill’s roles in the opening of the battle – I mean totally left it out. 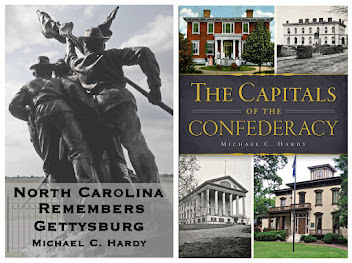 There was no mention of the great deeds of the Tar Heel state at the battle, which considering that twenty-five percent of the Confederate losses at Gettysburg were from North Carolina, that at least should get a line or two. Not much attention was given to Longstreet’s role in the battle, just…. I don’t even know where else to go. I let my son stay up and watch this with me – I was constantly telling him what was wrong. If the Military Channel shows this again, don’t bother watching it. The few good special effects are not worth the bad history. For those of you who want to keep up with the dig at Fort Anderson you can check a couple of sources. The first is from WECT TV6 – this post even includes a video. You can find it here. There is also a small article in the online Star News, which you can find here. I would personally love to go down and visit the site while the excavation is going on. Maybe even be one of their volunteers, if they would let your humble scribe man a trowel. But alas, Fort Anderson is about seven hours from my house. If you have not visited Fort Anderson and the ruins of Brunswick Town, let me encourage you to go. It has probably been about five years since I was there, but the earthworks are the most impressive that I have ever seen. In 1861 I brought into service my Co. and enlisted it for twelve months. Last April I re-enlisted ‘for the war’ and induced most of my company to follow me. I am fifty years old and have two sons; one of my sons is now a member of my Co. and the other is about to enter the army being subject to the Conscription law. I own no slaves, therefore my wife and daughters are left without any male assistance on the plantation. Farthing’s resignation was accepted on November 12, 1862. However, he most likely did not know about his release from the army. He died that same day, and is buried in the Stonewall Cemetery in Winchester, Virginia. A tragic fate for one of North Carolina’s soldiers. 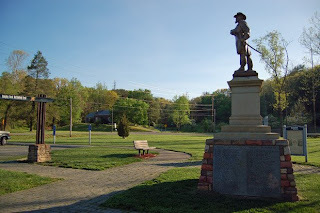 Since I have been doing quite a bit of reading on the battle of Bentonville, I thought for our next county study we would look at Johnston County. Johnston County was formed in 1746 from portions of Craven County. The new county was named for Gabriel Johnston, a Royal Governor of North Carolina from 1743 to 1752. The county seat is Smithfield and was established in 1777. Smithfield, formerly known as Smith’s Ferry, became the county seat in 1771, and was formally chartered in 1777. In 1860, Johnston County had a population of 15,656 people, including 4,916 slaves and 195 free blacks. Johnston County was a major cotton producing area, and in 1854, the railroad linked the cotton growers to major outlets. In the 1860 presidential election, the men in Johnston County cast 974 votes for Breckenridge, 630 for Bell, and 38 for Douglas. Johnston County’s representative to the 1861 Convention was William A. Smith. Smith was a “Union man” and went on in 1864 to serve in the state legislature. After the war, he served in the State constitutional convention and in the state senate. Johnston County sent an estimated 1,500 men into Confederate service, serving in these companies and regiments: Company C, 5th NCST; Companies C, E and I, 24th NCT; Companies C and D, 50th NCT; Company C, 53rd NCT; Company g, 55th NCT; and Company B, 56th NCT. It is easy to look at the battle in hindsight. Johnston should have taken control of the railroads, and more of his scattered forces (like Cheatham) could have been brought to bear against the Federals. Johnston should have told Braxton Bragg to take command of McClaw’s Division, which had been sent to strengthen Bragg’s flank, but he did not. And McClaw’s division, the largest in Johnston’s “Army of the South,” remained idle throughout the battle. Bragg, well what do you say about Bragg? He should have been somewhere else doing something else, and his troops turned over to a more competent leader. I think Bragg does have good traits, but being a battlefield commander is not one of them . Regardless, Johnston was able to catch a portion of the Federals unawares, and drive a portion of them back. All in all, there were just too many Federals for Johnston to cope with, and he was forced to retire from the field. 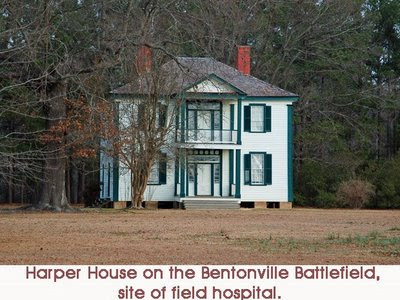 Bentonville produced an estimated 4,738 casualties – 1,646 Federal, 3,092 Confederate. Bentonville was the largest battle fought on North Carolina soil during the war. You can find a really good web site about the battle, and the battlefield, here. I have been to Bentonville several times or the past decade, and, as many of you know, I am currently working on a book about one of the Confederate regiments that fought at the battle. If you ever get a chance, make sure you visit the area. 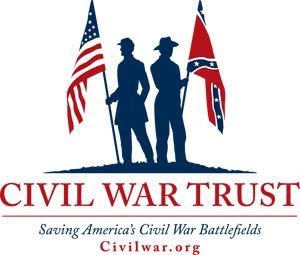 If you visit this link, you can get more information on some of the Civil War Trail markers in the area.